Mando Diao are a rock band from Borl?nge, Sweden. According to the band, the name Mando Diao has no meaning at all, but rather appeared to band member Bj&ouml;rn Dixg&aring;rd in a dream. Their sound is influenced by The Animals and Oasis. The roots of Mando Diao date back to 1995 when Bj?rn Dixg?rd was a member of a band called Butler. Band members came and went; four years later, the remaining line-up chose to proceed more seriously in their musical efforts. Bj?rn Dixg?rd and Gustaf Nor&eacute;n locked themselves up in a summer house and spent six months writing songs. The roots of Mando Diao date back to 1995 when Bj?rn Dixg?rd was a member of a band called Butler. Band members came and went; four years later, the remaining line-up chose to proceed more seriously in their musical efforts. Bj?rn Dixg?rd and Gustaf Nor&eacute;n locked themselves up in a summer house and spent six months writing songs. The now-renamed band, along with Samuel Giers and Carl-Johan Fogelklou, made their first public performances in the clubs of their hometown Borl?nge in 1999. A local writer described them in an article as the best unsigned band he had ever seen. This was soon followed by a record deal with EMI Sweden. In 2002 their first album Bring 'Em In was released in Sweden. It contains early demo versions of their songs, partly recorded in the basement of keyboarder Daniel Haglund who left the band later in 2003. In 2003 the album was released internationally, along with their debut single Sheepdog. In 2004, Mats Bjorke officially joined the band to replace Haglund's departure. In the same year, the band is hailed enthusiastically by the music press as one of the most sanguine newcomer bands of the year. The album Hurricane Bar was released in 2005. Their third album, released in Europe and Japan in September, 2006 is called Ode To Ochrasy, which the band say has a "darker" feel, and features the single Long Before Rock 'n' Roll. To promote the release of the album, the band toured Germany, supported by Razorlight and Johnossi. They also supported Dirty Pretty Things on their tour in England. The album was a big success and they won many prizes in their home country Sweden. 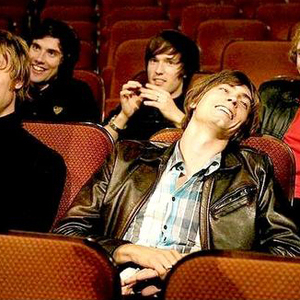 Ode To Ochrasy was released in spring 2007 in US and Mando Diao toured the US to promote it. The band released a new album titled "Never Seen The Light Of Day" on October 24th 2007. The band supported The Bravery on their 2005 tour, along with Los Angeles band The Colour. Their songs Down In The Past and The Wildfire (If It Was True) feature on the EA Sports games NHL 2006 and NHL 08 respectively, whilst God Knows features on FIFA 06.